this is a combination of taste (sweet, sour, bitter, salty and pungent) and aroma – or nose. This is where a fine coffee can truly stand out as an elegant, and even forceful, expression of place terroir. 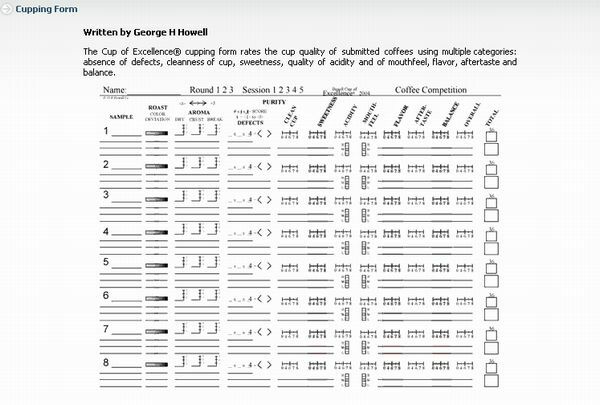 The judge must determine whether a coffee’s flavor profile is merely generic or a genuine expression of terroir brought out by the care of the harvester and the skill of the processor.